A feminist is a person whose beliefs and behavior are based on feminism (belief in the social, political, and economic equality of the sexes). Jane Eyre is clearly a critique of assumptions about both gender and social class. It contains a strong feminist stance; it speaks to deep, timeless human urges and fears, using the principles of literature to chart the mind’s recesses. Thus, Jane Eyre is an epitome of femininity – a young independent individual steadfast in her morals and has strong Christian virtues, dominant, assertive and principled. That is marriage should base on true love, equality and respect rather than social ranks, materials or appearance. In the 19th century, women were considered to be appendages to men. Marriage and family life were the whole world to women. Women depended upon men physically, financially and spiritually. Bronte sisters grew up in a poor priestly family. Their mother died of lung cancer when the children were very young. As there was no sunlight in the depths of winter, the children's childhood was desolate and without joy. Fortunately, their father, a poor learned priest, he himself taught them reading, and guided them to read newspaper. This would be a relief in the midst of sadness. Because of the miserable life, Bronte sisters had spent a childhood in charity school. These experiences offered the available materials for the prospective creation. Then little Jane was sent to Lowood boarding school where she learnt a lot and became much stronger and independence. She demanded the girls in Lowood to wear ugly or even torn clothes, eat far-from-enough harsh food and led a hard life. She never surrendered to the powerful and authoritative person like Mr. Brocklehurst. In all Jane Eyre’s life, the pursuit of true love is an important representation of her struggle for self-realization. Love in Jane Eyre’s understanding is pure, divine and it cannot be measured by status, power or property and so on. Having experienced a helpless childhood and a miserable adolescence, she expects more than a consolable true love. She suffers a lot in her pursuit of true love. Meanwhile, she obtains it through her long and hard pursuit. 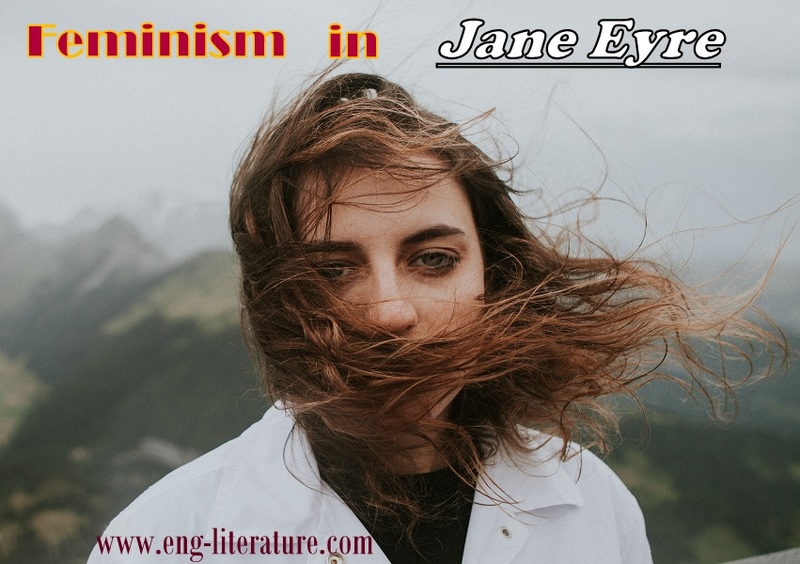 Everybody has the rights to pursue happiness, to pursue the true spirit of life, which can be seen from Jane Eyre’s struggle for independence and equality. Jane Eyre’s story tells us that in a man-dominated society, a woman should strive for the decency and dignity. In face of hardships in life, the courageous woman should be brave enough to battle against it. Self-esteem is the primary element to protect. She dares to fight against the conventional marriage ideas, which well reflects all feminists’ voice and wish for a true love. Maybe Jane’s choices are considered something shocking, but it really gives a blow to the Victorian society.